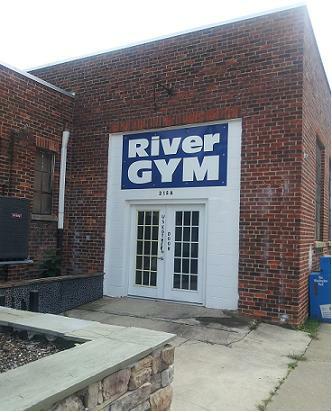 The River Gym began it's existence in early June of 2013 in Colonial Beach at the former Wide River Gallery location just behind the Tattle Tale Cafe. 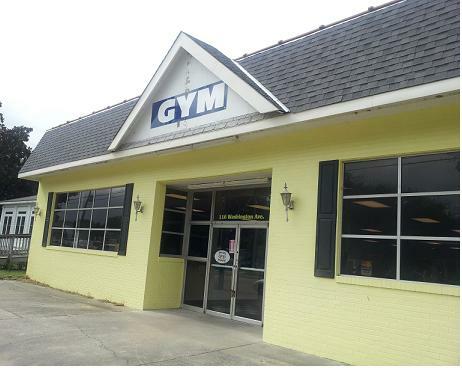 It didn't take long for them to outgrow that space and before too long, they relocated to the vacant former Metro Golf Carts building at 116 Washington Avenue in early October of 2013 where they now have 6,000 square feet of workout space. That's so much more than their original location, pictured below. A facility like this is something that was sorely lacking at the beach. The next closest places for a workout are either in the next county over, or way down near the bottom portion of Westmoreland County. Featuring all sorts of classes like Pi-Yo, Zumba, spin, kickboxing and yoga, you will also find personal trainers, nutritional supplements, bodybuilding competition preparation and more. It's wonderful to see the weight loss and fitness success stories of our local Colonial Beach residents on their business Facebook page. The stories are inspiring and it's great to know that so many folks want to live a healthier lifestyle. "Magic Door" with 24-hour access for members.